Get up. Get outside. Get your gift. Living here on this island, I have the opportunity every day to see something new, something that surprises. There is so much to see if only I really look. And of course, every day is different, looks different. I just finished reading On Looking: Eleven Walks with Expert Eyes by Alexandra Horowitz and I am fascinated in a head-spinning sort of way. I doubt I will ever achieve “expert eyes” as I walk the island, but maybe a smattering of the details, identification and names for all I see will eventually stick with me. 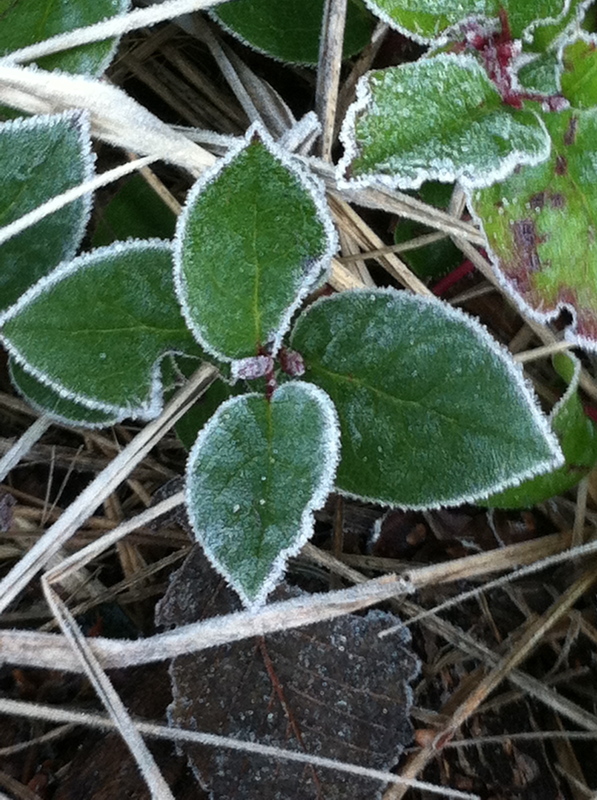 Certainly I am hopeful that many of the details stay with me longer than this morning’s frost on the salal.